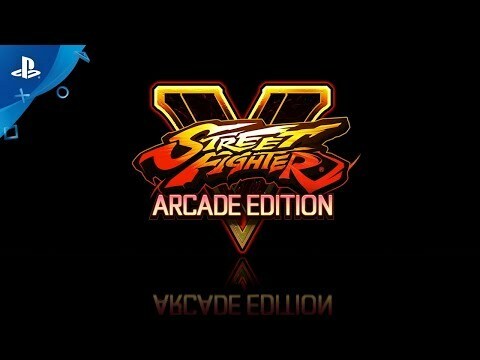 Street Fighter® V: Arcade Edition includes all base content from the original Street Fighter® V release, Arcade Mode, and all 12 DLC characters from Season 1 and 2*. Show your support for the Capcom Pro Tour with the Capcom Pro Tour 2018 Premier Package. 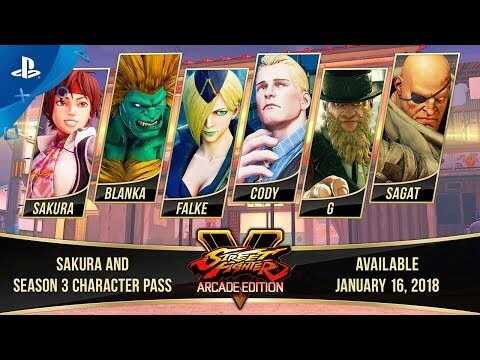 Includes the following content: Sakura CPT 2018 Costume, Akuma CPT 2018 Costume, PS4-exclusive EX colors for 34 characters (all sixteen launch characters and 18 Season 1, Season 2, and Season 3 DLC characters), two CPT 2018 Fighter Profile themes, five special in-game titles, and a bonus of 5,000 Fight Money. This package also includes Birdie's CPT 2018 Champion's Choice costume, a new Capcom Pro Tour eSports stage, and special targets to be revealed at a later date. This special content will only be available for a limited time, so be sure to grab it before it's gone. The legendary fighting franchise returns with Street Fighter® V: Arcade Edition! Powered by Unreal Engine 4 technology, stunning visuals depict the next generation of World Warriors in unprecedented detail, while exciting and accessible battle mechanics deliver endless fighting fun that both beginners and veterans can enjoy. Challenge friends online, or compete for fame and glory on the Capcom Pro Tour. Already Own Street Fighter® V? The following content will be available to all Street Fighter V players as a free update beginning January 16. You will need an internet connection to download additional modes and updates, and to track Fight Money, Experience Points and other online data. Arcade Mode: Choose from six different paths themed after classic Street Fighter games. Gallery: Unlock hundreds of illustrations as you play through Arcade Mode. New V-Triggers: Each character will have two V-Triggers, adding more depth to the combat system. Team Battle: Assemble local teams, set your own rules, and see who comes out on top. New Visuals: The user interface is being redesigned with new color schemes, revised menus, and exciting pre-and-post-fight effects. Rise up: The Capcom Pro Tour, the premier league destination for competitive fighting games, features dozens of tournaments for Street Fighter players across the globe. 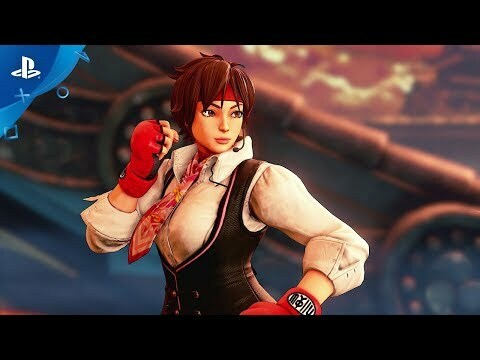 Sakura is the first character in Season 3 and will be joined by Blanka, Falke, Cody, G, and Sagat throughout 2018. If you purchase the Season 3 Character Pass you’ll immediately get all six characters as they become available. You’ll also receive their Battle Costumes with colors 3-10 and default costume colors 3-10 unlocked! *Physical copies of Street Fighter V: Arcade Edition include a download code for Season 1 and 2 Character Passes. An internet connection is required to download this content.